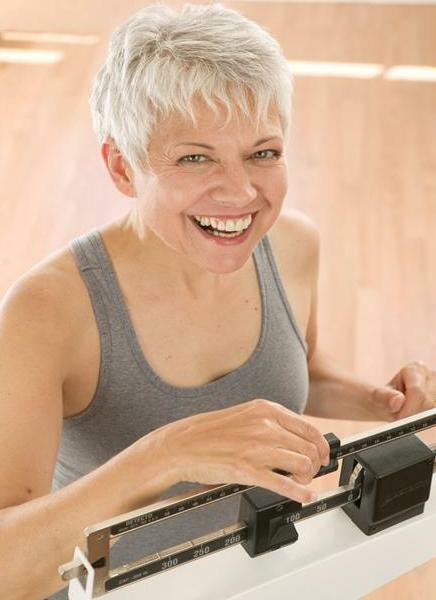 Recently, I’ve noticed an increased number of seniors and retirees joining gyms. I can see them working out at the cardio and weight area – this really gladdens me. It’s great to know that they are willing to invest and make the commitment to exercise as there are more awareness now to the benefits of exercising. Folks who are used to working hard their whole lives would suddenly find that they have too much time on their hands and have no idea what to do with it. Some may spend hours at home watching cable television, playing mah jong or out there gossiping with others. A number of my mom’s friends have became TV addicts once they have ample time at their disposal. I believe that being addicted to watching too much TV will weaken our mind, make us more lazy and indirectly leads to occurance of chronic or degenerative diseases such as arthritis, diabetes, obesity, chronic fatigue, intolerence of others and going more introvert. Any part of the body that is not put to use will weaken – when we watch TV, we need not think at all- we let the images, sounds, colours, special effects passively stimulate our minds. It is ok if you were to watch a sitcom or a movie or two, or perhaps watch the news- probably an hour or less a day without getting addicted. And you have no problem turning off the TV. There was periods in my life when I was addicted to watching TV- and I understand how it affects us. I have also observed family and friends getting addicted to the idiot box. There is a lady I know who is highly intelligent- even in middle age, she has excellent memory and is able to engage in very lively conversations. I used to enjoy talking to her a lot. Then, last year, she had installed cable television and was getting addicted to the TV drama series- and I noticed gradually, her mind is getting slower and slower. And she looked a sort of dazed- something that I recognize once a person is addicted to either the TV, internet or video games. Reason I mentioned this is because I sincerely hope older adults or retirees will not waste their golden years watching TV. Many working people dream of things to do such as travelling, catching up on reading, persuing a hobby, writing a book or even persue further education when they retire- and to spend the years sitting in front of the TV like a zombie really do not make sense. So I truly applaud these seniors who are willing to do to gyms- most of them are lone rangers in the gym because most of their friends would not be interested in exercising. And because gyms are mostly filled with younger generations, these older folks are mostly ignored. They come, they go with no one to talk or make conversations with them- boys and girls would much rather mix with their gym instructors and other gym bunnies. they don’t mind being alone- often sitting alone to take a sip of drink or to rest. It’s ok, they don’t consider themselves uncool. But I am also concerned because I do stop seeing a few of them after a few months. I wondered is it because they have given up and quit the gym? I hope it is not the case. If you are an older adult who have any health condition, I would not advise you to go around struggling and trying to figure out how to use machines on your own. Sometimes, certain exercise may aggreviate your condition- and to know the most suitable exercise for you, it will be best to seek out the service of a good personal trainer. Also, it’s hard to maintain the motivation if you do not know how to use the machines, how frequently, how much, or how long you should exercise to achieve the desired results. Please filter out personal trainers very carefully because I’ve seen some of them teaching people very dangerous exercise. You can observe how the personal trainer behave when they are training their clients- are they too pushy? Do they seemed to know what they are talking about? Do the client seemed to be happy training under them or the client looks really pressured and miserable? Personal trainers who hold professional certification or those who have college degree in related fields like sports science, etc will be more knowledgable. I know the service of personal trainers are not cheap but the investment is worth it if you are serious in exercising and maintaining good health. For those who prefer the non-gym option, do look out for my upcoming article: Seniors Can Exercise Without the Gym Too! Caution: If you have not been exercising regularly before, have family history of heart disease, is above certain age (above 45 for men and 55 for women), please consult and physican and perform medical check ups to rule out any heart related ailments and health conditions that require special attention.